With those words and the flick of a switch, Thomas Edison unleashed the first commercially viable light bulb into the world of 1879. On-demand illumination was a revelation. Everyone wanted it and the newly founded Edison Electric Light Company did everything it could to keep up with demand. Wiring the world for light was great business and Edison’s wealth skyrocketed. Then something unexpected happened: people realized electricity could be used for more than just light. All of a sudden, the electrical wires in every home could be used for so much more. Now the electric fan was possible, and the clothes washer and the vacuum cleaner. Entire new categories of products and industries materialized, creating untold wealth and prosperity. It was a revolution that dramatically changed the world. 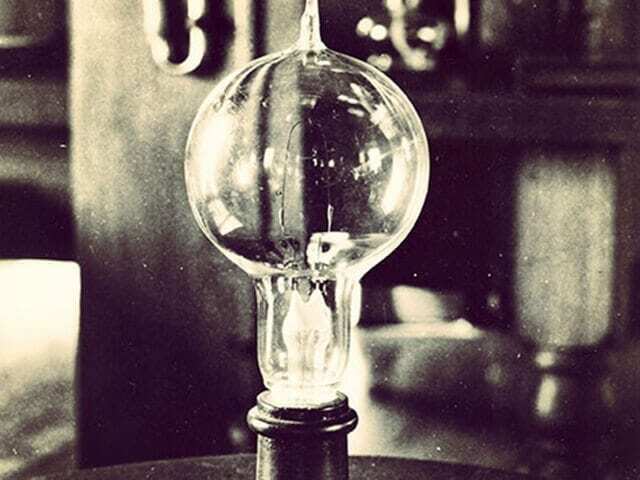 Thomas Edison is well known for creating the first commercially viable light bulb in the 1800s, an invention that fundamentally changed our world. It turns out that electricity is a “general-purpose technology.” Once harnessed, it can be used for just about anything. General-purpose technologies change the world. Not only that, the way they change the world follows a perfectly predictable pattern. First, a new technology is invented. Next, it is successfully commercialized. People recognize its usefulness and so everyone wants it. This means that there is tremendous value created (and money made) installing the required infrastructure. Finally, after the infrastructure is installed, people invent new ways to use the technology. This is when new industries and fortunes are created. It’s also when disruption happens and old industries are demolished. Clever people always figure out how to use the new technology to do old things in better ways and to do new things that have never been done before. This didn’t just happen with the light bulb. It also happened with the steam engine, the printing press and many other technologies, all of which followed the same pattern: all spurred revolutions and all changed the world. We’re currently in the midst of a revolution of our own. Information and communications technology (ICT) is creating a revolution that may be the biggest one yet. The 1990s and 2000s saw the creation of massive amounts of computing and telecommunications infrastructure. The prices of computers dropped while available connectivity soared. As expected, the companies that built computers and wired connectivity amassed unprecedented fortunes. This brings us to the present. Today computers are everywhere and they’re all connected. We find ourselves at the same moment as when people realized that electricity could be used for more than just lighting. Now is the time for invention and disruption, which have already begun. Let’s look at some of the incredible stories the ICT revolution has already produced. In 18 months, a team of 13 people built a company used by millions of people and valued at $1 billion. That’s the Instagram story. For $25,000 you can buy a human-scale robot that does menial labour. You program it by showing it what to do. All in, its labour works out to $4 per hour. We can even link computers into the human nervous system. 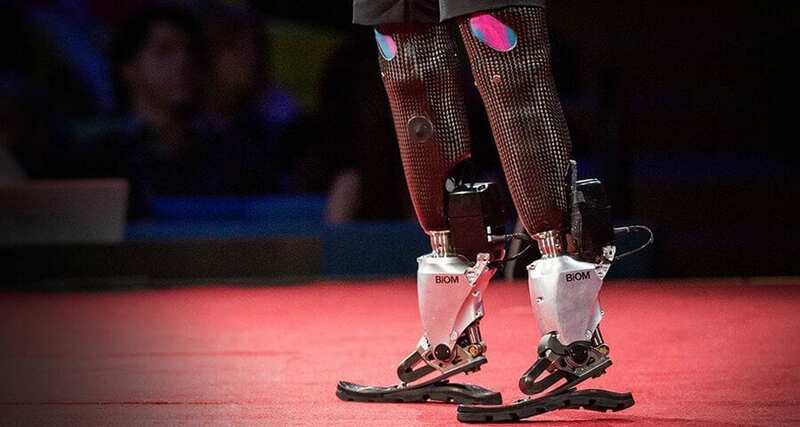 It won’t be long until prosthetic limbs are better than the real deal. There’s a lot to be excited about. Yet, this same wave of change has also laid waste to industries. We’ve already seen the impact that ICT had on the recording industry, the Yellow Pages, Kodak and newspapers. Television is now undergoing a similar transformation, as are manufacturing, entertainment, healthcare and financial services. As computers get smaller and smarter and cheaper, disruption will expand and accelerate. No industry is safe. But no industry should be safe—not if it is clinging to the past in the face of a better way. It’s easy to see all of this radical and sometimes violent change and to become concerned about the future of your business. Don’t panic. There’s no law that says you have to get swept away. In 1878, Edison founded a company, started a revolution and changed the world. That company still exists today. You might know it as GE or General Electric. GE didn’t just survive the revolution that it started—it thrived. The company grew and changed as new technologies emerged. Today GE is one of the most powerful organizations on earth. This is how to thrive in times of change: use new technology to do old things better—or to do things that have never been done before. Don’t focus on the processes that make up your company. Focus on the value you create for your customer. Always ask yourself if there’s a better way. The revolution can’t be stopped, but it can be harnessed. We’ve never had such an incredible collection of tools at our disposal. So throw out the rulebook and do something incredible. For more from Paul and Jeff, visit T4G’s Ideas and Insights.